After a company-wide restructuring, Allstate Insurance changed the rules for as many as 6,200 agents. Some agents had invested their own funds to build up their agencies over a decade or longer, with one man investing as much as $120,000 over 14 years and another investing $80,000. In 1999, these agents were called into meetings and told that while they could continue to sell Allstate Insurance, they were being reclassified as independent contractors. They lost their retirement accounts, their profit sharing, and their health insurance as a result, and their pension benefits would no longer continue to accrue. If the workers accepted the deal, they were required to sign a waiver as a condition of continuing to work for Allstate. The waiver indicated that they were giving up their rights to sue. Many signed the waiver, but 31 agents sued Allstate anyway for age discrimination and breach of contract, among other claims. It has now been 13 years and the case is still moving through the courts. It illustrates both the complexity of employment discrimination cases as well as the importance of speaking with an Orange County employment law attorney before signing any type of waiver. Before the agents who are suing Allstate are able to proceed to a trial on the merits of their discrimination claims, the jury first must determine if they should be held to the waiver that they signed. If so, then they would not be able to pursue other claims in court since they would be bound by their legal promise not to sue. According to the New York Times, Allstate contends that the employees knowingly signed the waiver, and thus the jury should preclude them from continuing with their discrimination cases. However, the employees believe that they were coerced into signing. It is Allstate’s burden to prove that the workers signed the waiver without coercion. Allstate reports that the workers were given significant benefits as incentive to participate in the change in the company structure. This included the ability to sell the agencies that they had built up, which would not have been possible if they continued to work as employees. If they did indeed receive benefits and the benefits were the reason that they signed the waiver, rather than coercion, the waiver could be upheld. A full 90 percent of the agents involved in the lawsuit were over the age of 40 at the time when they were given the waiver to sign and their employment structures changed. 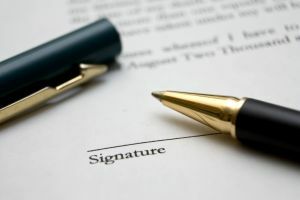 They indicate that the refusal to sign the waiver would have come at a great cost, prohibiting them from working as insurance agents within a mile of their agencies for between one and two years even though their offices were leased or purchased in their own name. They also wouldn’t be permitted to keep their business numbers and were warned that they could not solicit their old customers (although this later turned out to be untrue). The jury will need to determine whether the workers are telling the truth and that their claims should go forward, or whether Allstate is right and the waivers were signed voluntarily by the workers. If no waiver had been signed, then the case could otherwise have gone forward on the merits of the age discrimination claim. With so many older workers involved in the transition, this may be a strong case that may never get heard if the waiver is found valid.